In this second installment of my Origins of Petros series, I’m going to introduce you to one of the first mythological settings in Age of the Ashers, the one in which we meet our reluctant villain, Orpheus. As I mentioned in Part I, upon his death, Orpheus was consigned to the Vale of Mourning, a tear-soaked sector of the Underworld reserved for souls whose lives were stained with unhappy love. Orpheus, as you probably know, was sent there because his bride Eurydice was killed by a viper bite, and when he was just seconds away from leading her out of Hades, he glanced back to ensure she was all right, and she was swallowed back into darkness, never to be seen by him again. If that’s not unhappy, I don’t know what is! Just before Hermes (Apollo’s messenger in my story) comes searching for Orpheus, Orpheus has a brief encounter with two other tragic figures, Clytemnestra and Leucothoe. During the ten years Agamemnon was commanding troops at Troy, Clytemnestra took a lover, her husband’s cousin Aegisthus, and together they slew the king when he finally returned home to Mycenae. When Orestes got word of the murder, he went home and avenged his father by committing matricide. So yeah, Clytemnestra has ample reason to spend eternity mourning within the Vale. Leucothoe (pronounced “Loo-cah-thew”) was a Persian princess whom Helios the sun god took a shine too (pun intended). One night, he decided to transform himself into Leucothoe’s mother so that he could be left alone with her. As most often happens when hormonal gods are left with beautiful women, Helios seduced the princess. When Clytie, an oceanic nymph who was fiercely jealous of Leucothoe, found out about the fling, she informed the king, who then promptly had Leucothoe buried alive in the scorching desert sand. Unfortunately, Helios was too late to save her, but he did manage to marginally ease her suffering by turning her into a frankincense shrub. In Age of the Ashers, I write that she spends her time hiding amongst the branches of an aromatic frankincense tree. As you can probably tell by now, the Vale of Mourning is not a cheery place. Though artificially bright and beautiful (a cruel veneer constructed by Apollo), its atmosphere is thick with hopelessness and grief. Those who inhabit it spend their long dreary days either mourning quietly to themselves, like Orpheus, Queen Clytemnestra, and Leucothoe, or prattling on to others about their lovers left behind. 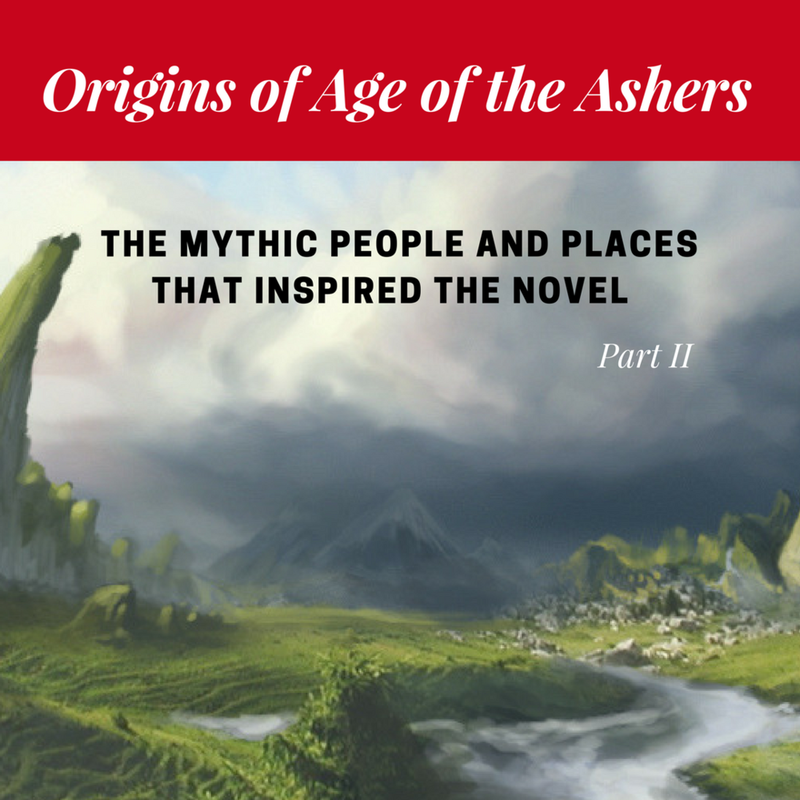 If you’d like to know what the mission was, and whether Orpheus was eventually able to see his beloved Eurydice again, then be sure to get a copy of Age of the Ashers here! I hope you enjoy the story!